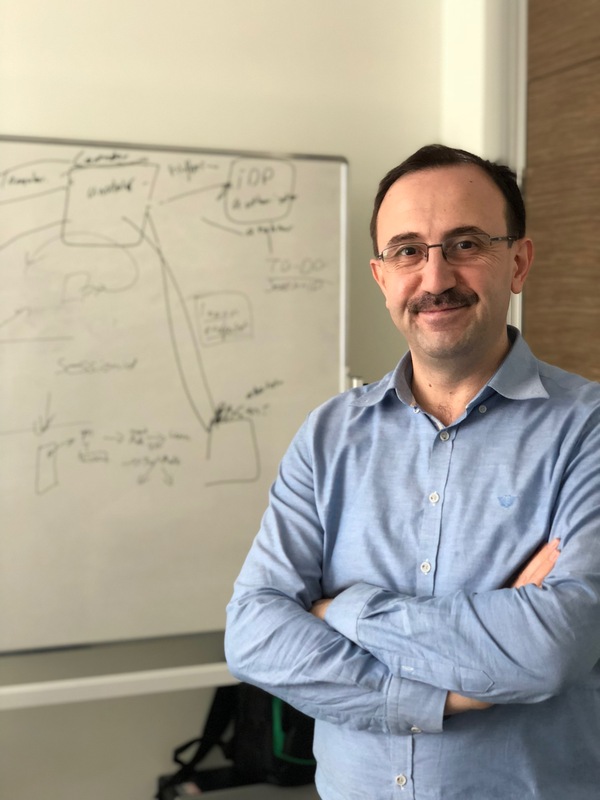 Kemal BICAKCI is currently a full professor of Computer Engineering at TOBB University of Economics and Technology, Ankara, Turkey and the co-founder of Securify, a start-up company founded in 2016, working on cyber security technologies and focused on behavioral biometrics. He has been teaching graduate and undergraduate level courses in Information Security, Cryptography, Computer Networks and other topics for more than 15 years. He has obtained his PhD degree from Middle East Technical University, Ankara, Turkey in 2003. Between 2004 and 2006, he was a postdoc researcher in Vrije Universiteit Amsterdam working with Prof. Tanenbaum in EU FP6 project named SecurE-Justice. His previous research experience includes several NSF funded security projects in which he participated as a research assistant during his MS studies in University of Southern California, Los Angeles, USA. He has directed / has been directing 6 research projects on security funded by Turkish Scientific and Technological Research Institute (TUBITAK). Beginning with a BS graduation project in Hacettepe University, Dr. Bicakci now has over 20 years research experience on security and related topics. His current research interests include information security, applied cryptography, human-computer interaction and usability. He has co-authored 20+ international journal and 30+ conference papers. His papers are highly cited (h-index: 20 as of 1/20/2019, Google Scholar). He serves in the Editorial Board of Computer Standards and Interfaces (Elsevier) journal. BiyoSecure was awarded as the second-best project at TechAnkara 2018 among around 500 startups. Our paper titled A First Look at the Usability of OpenVAS Vulnerability Scanner was accepted and will be presented at USEC 2019 (co-located with NDSS Symposium). Our paper titled How Safe Is Safety Number? A User Study on SIGNAL’s Fingerprint and Safety Number Methods for Public Key Verification has been published in the proceedings of ISC 2018 conference. Blog. Some blog posts I wrote. Research interests. Behavioral biometrics, Information security, Applied cryptography, Wireless networks, Usability, Human-computer interaction. Publications. See my publication list. Teaching. I will be teaching BIL 452 (Data Communications and Computer networks) and BIL 461 (Operating Systems) in Summer 2019. Students. I currently work with Muharrem Ugur Aksu, Kaan Kucuk, Ihsan Kagan Ak, Melike Burakgazi Bilgen, Enes Altuncu, Oguzhan Salman, Betul Askin Ozdemir. My old students graduated with a PhD are Hakan Ezgi Kiziloz, Yasin Uzun, Huseyin Cotuk, Yusuf Uzunay, and Davut Incebacak. Postal Address: Department of Computer Engineering TOBB University of Economics and Technology, Sogutozu Cad. No: 43 Sogutozu Ankara 06560 TURKEY. Office #: Z-69A, Email: bicakci(AT)etu.edu.tr, Phone: (90-312) 292-4262, Fax : (90-312) 292-4180.